Health networks battle with questions like, “should we put all patients through one wait list?” or “should we have one single phone number for patients to call?”. 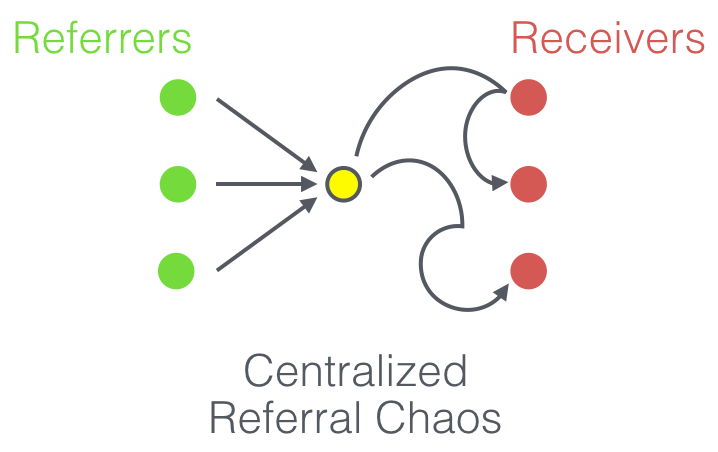 Otherwise put, should we centralize referrals for service, or decentralize? Stories frequently appear in the media, often after an effort to centralize referrals fails to bring the desired results. Centralized intake departments often “go under the knife” like in this Ottawa example or with Fraser Health’s centralized flu shot booking. Can nature teach us a better way? When birds flock in a V formation, it appears as though there is a “lead” bird controlling the direction and speed. In fact, none of the birds “lead”, but rather each bird interprets what to do based on the movements and sounds of other birds right near them. It is a coordinated, decentralized, decision making system. The result is a beautiful migration pattern with birds maintaining strong interactions to keep their formation. Insect behaviour is similarly decentralized, where decisions are distributed across the colony, rapidly and accurately. Unfortunately, handling patient transitions between services isn’t like a flying V, it’s more like herding cats – chaotic, with little synchronization (even the MythBusters can’t herd cats). When clinicians refer today, first they have to find the right service in a confusing ocean of information. Then they have to find the right form, fax it, and wait. Nobody knows when the patient will be served. 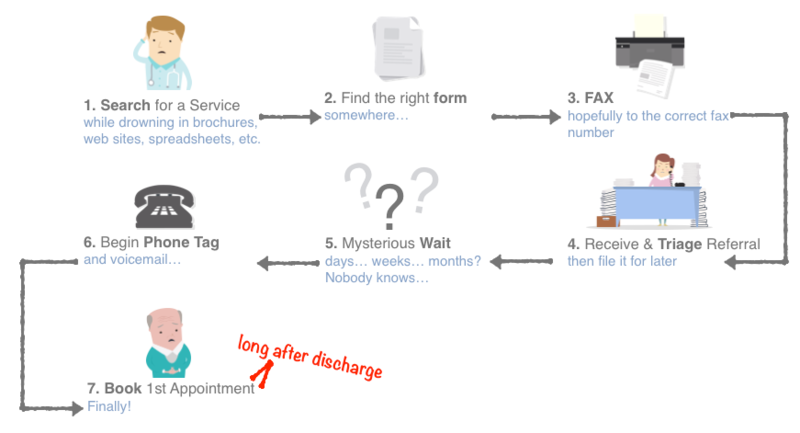 Referrals get backlogged, phone tag begins, and some referrals never get completed. Confused patients adapt by seeking out alternatives, often resorting to costly hospital emergency department visits. 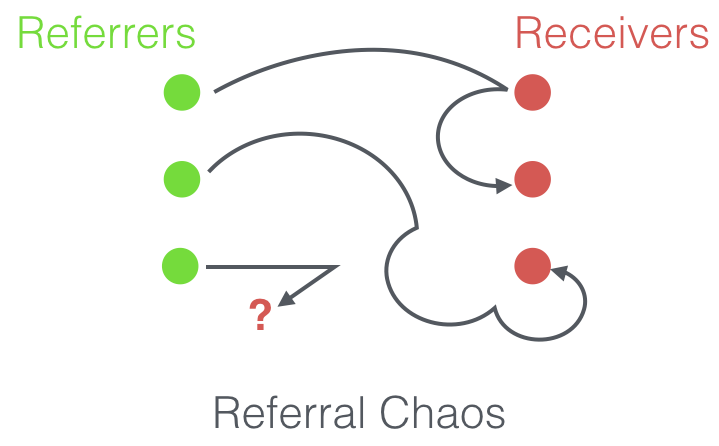 Referrals can feel chaotic and unorganized. A common solution is to centralize the transition process, but can the solution also incorporate the benefits of informed coordinated decentralized decision making? “Centralizing intake” typically means that all referring clinicians in a region direct referrals of a specific type to one spot, using one form, or through one phone or fax number, with one central agency “triaging” the referral before it is routed to the final provider agency. The key benefit of this approach is that it makes life simpler for the referrer. The main problem with a central referral process is that the quality of the interaction between the referrer and the patient doesn’t fundamentally improve, as the patient still doesn’t clearly know the next step in their transition. In fact, there is often weaker interaction and less connection using the traditional centralized referral processes because there is less available information to convey to the patient. The referrer usually doesn’t even know what organization the referral will land at. The message to the patient becomes a variation of “someone will be in touch with you, sometime”. Once the central referral department receives the referral, they often have to apply the same referral procedures that the original referrers once used. Centralized intake, without a fundamental process change, is still confusing for the patient (also, it can be quite costly). Referring clinicians can improve the quality of interactions with patients when they book referrals for patients. A booked referral is where front line clinicians directly provide patients with appointment time options, and book them into a preferred time slot with the referred service. Patients clearly know the next step in their care. Health system planners often feel that they need to decide between a costly centralization agenda or a decentralization agenda. With Caredove, this becomes a false dichotomy. 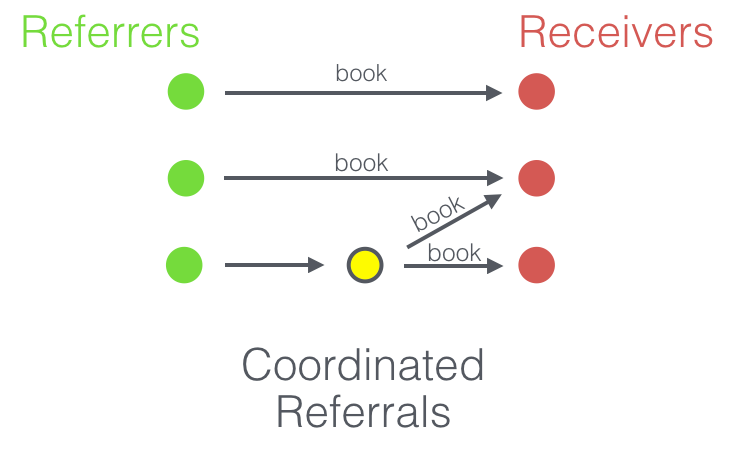 Both models co-exist in a coordinated access model with booked referrals. Referrals to most services can be handled by directly booking the right service for the patient, or enabling patient to directly sign up. For situations where an intermediary would provide additional value (e.g., early assessment of patient needs for a service with a long waitlist), clinicians can refer to a centralized intake function which, itself, performs a booked referral to the required service. Caredove provides the information and tools necessary for a health system to behave like a coordinated flying V, with the benefit of a single control centre, using both decentralized and centralized approaches to improving patient transitions. Contact Caredove to start a conversation about affordable e-referral today.